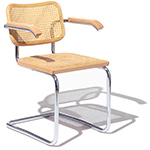 Marcel Breuer conceived the first tubular steel chair, in 1925, based on the tubed frame of a bicycle. 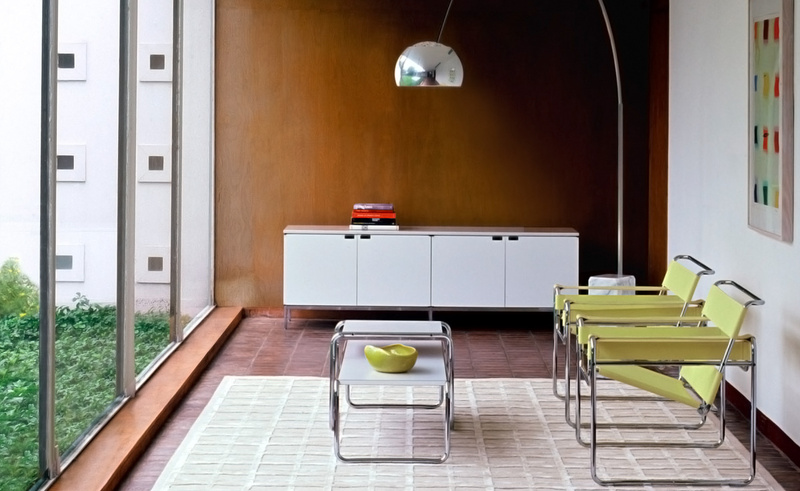 The Laccio tables were conceived as companions to the Wassily chair but have become true classics in any decor. 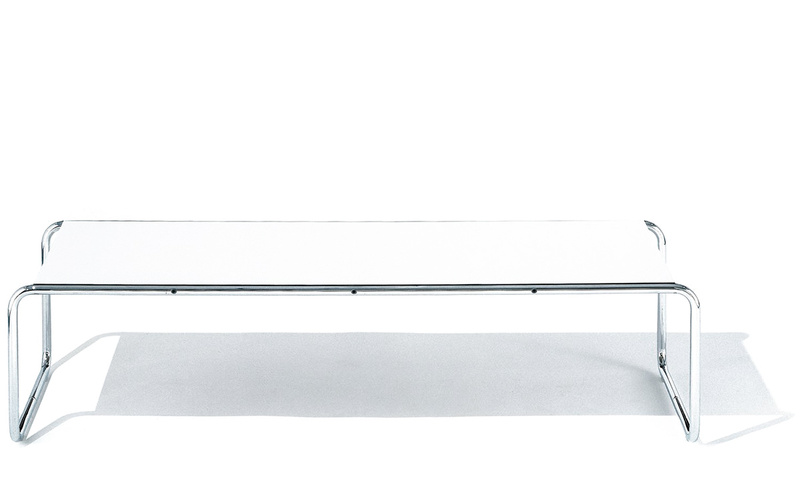 Functional, simple and distinctly modern. 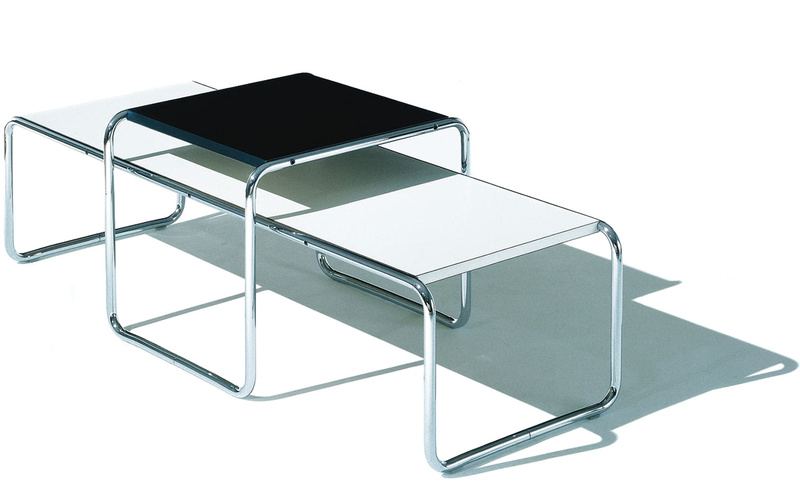 Knoll is the only authorized and licensed manufacturer of the Laccio tables. 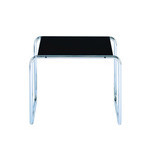 Marcel Breuer's signature and Knoll studio logo are stamped into the base of each table to verify authenticity. 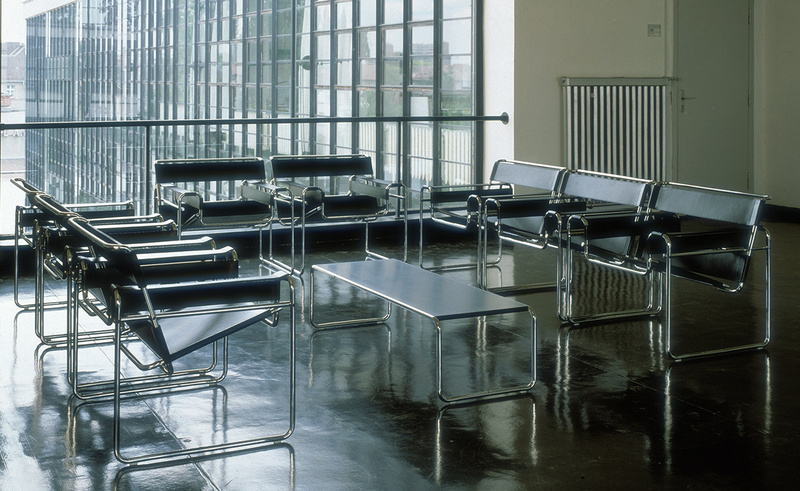 Protégé of Bauhaus founder Walter Gropius, Marcel Breuer embodied many of the School's distinctive concepts and was one of the School's most famous students. 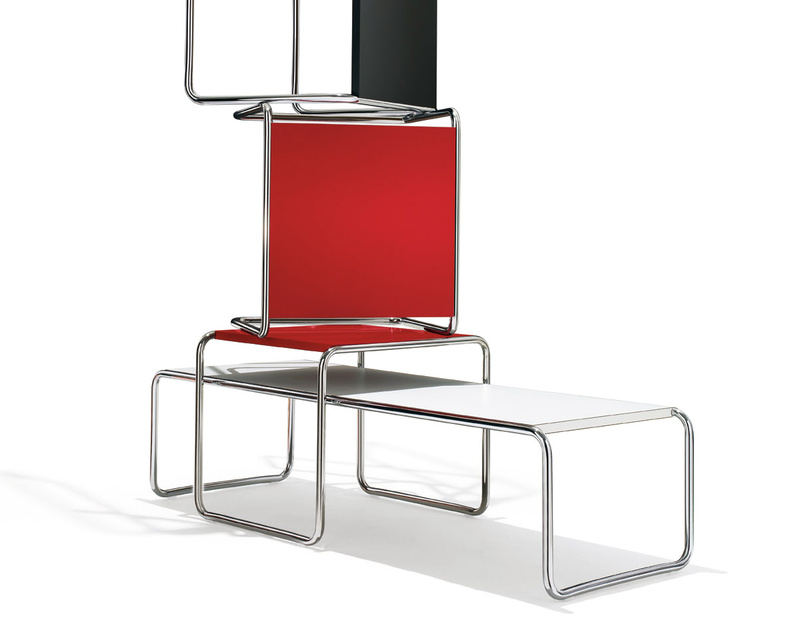 He returned to teach carpentry from 1925-1928, during which he designed the tubular-steel furniture collection. 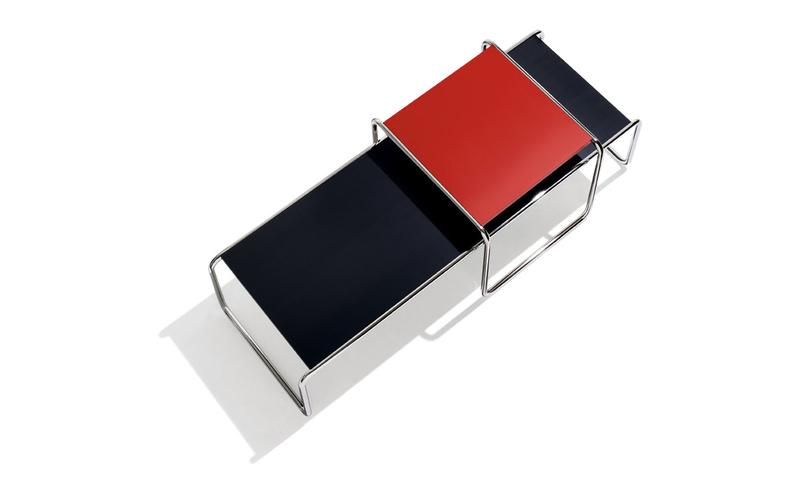 His attention drifted towards architecture, and after practicing privately, he worked as a professor at Harvard's School of Design under Gropius. 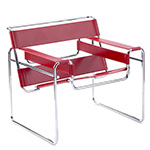 Breuer was also honored as the first architect to be the sole artist of an exhibit at the Metropolitan Museum of Art. 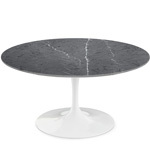 The Laccio tables feature a satin finish, smooth plastic laminate top in either black, white or red. 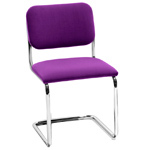 The frame and legs are seamless tubular steel in a polished chrome finish. 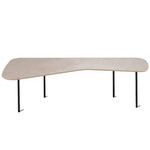 $933.00 + plus shipping in the continental U.S.